One of the great joys of reading graphic memoirs is seeing how artists imbue real, everyday encounters with energy and expression, using their creativity to enrich the mundane. 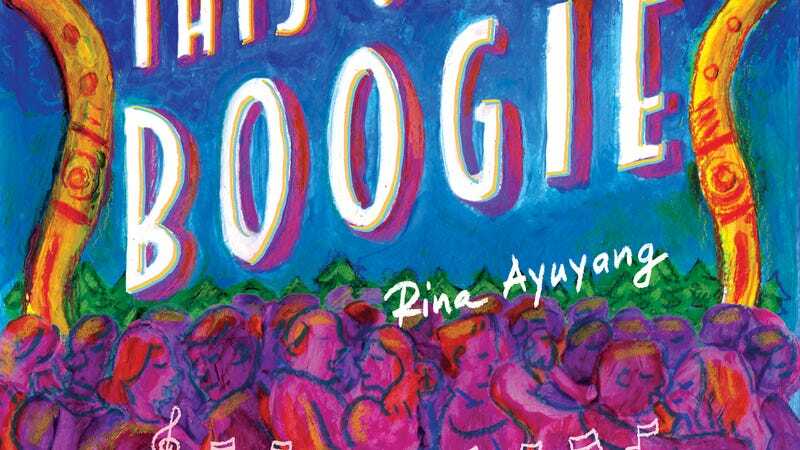 In her new Drawn & Quarterly graphic memoir, Blame This On The Boogie, Rina Ayuyang details her time growing up as a Filipina-American in Pittsburgh and her journey to cartooning, marriage, and parenthood. She gives readers an introspective look at her development as an artist while exploring the pleasures and pitfalls of her passion and how it impacts her family life. This exclusive excerpt from Blame This On The Boogie—which goes on sale today—shifts between moments of calm and chaos as Ayuyang recounts a trip to the mall, the birth of her friend’s baby, and the hectic nature of summer activities. With prose memoirs, all of the details are interpreted through the reader’s imagination, so nobody will visualize the exact same thing. But with graphic memoirs, everyone sees what the cartoonist is seeing, as filtered through their unique style. This reinforces the artist’s authority over the storytelling, making their individual perspective the driving force. The fluidity of these pages reveals how Ayuyang experiences the passage of time as a parent. Big swaths of time flow by, punctuated by specific events that pop out in her memory. The page of summer events is especially representative of this, showing snapshots of different moments in a sea of blue. Rendered entirely with colored pencils, Ayuyang’s art is full of vibrant vitality, and by abandoning panel borders, she adds spontaneity that further enlivens her work.